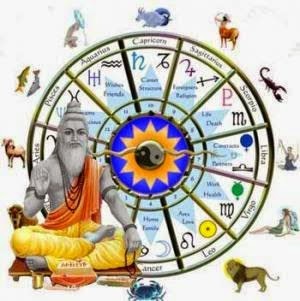 12 months of the year have their own impact on your future (as per astrology), on which month you born, and which planet have more impact on you, lets know about astrology by birth month in astro upay. January: It is known as mixture of Sun and Saturn. People who born in this month are jolly. They do not get progress in their desire field however they remain happy. They have to concentrate on their negligence. They have to worship lord Sun. February: It is known as mixture of Venus and Saturn. They are artist and romantic. They can get progress in law, art, education and music field. You should avoid laziness. You have to concentrate on your nature. You have to worship lord Shiva. March: It is known Jupiter month. They are clever and have good knowledge. They can get progress in religion, medicine, travel and service business. You should avoid anger and ego. You can worship lord Hanuman. April: It is known as Mars month. They have many diseases in the starting but after that they have courage. They can build their career in sports, medicine, music, education and food products. You have to take care of your health and food habits. You have to offer water to the Sun every day. May: It is known as Sun month. They start their career from low position and rich to the very high position. You can build your career in marketing, politics, administration and technical field. You should avoid over confidence. You can worship goddess Durga. You will get benefits. June: It is known as mixture of Moon and Sun. They are disciplined and knowledgeable. They get everything late. You can build your career in art, law, administration, astrology and independent business. You should avoid taking decision in hurry. You can worship lord Krishna. July: It is known as mixture of Jupiter and Venus. They are emotional, stubborn, lazy and spiritual. You can build your career in religion, tourism and beauty field. Do not get sentimental. You can worship lord Shiva. August: It is known as mixture of Venus and Saturn. They are hard working and generous. They can get success in media, film, administration, law and religion. You have to take care of your speech and food habits. You have to worship lord Shanidev. September: It is known as Mercury month. They are lucky for speech, education and property. They can get success in politics, sports, business and journalism. You should avoid spending money unnecessarily. You can get more benefit by worshiping lord Ganesh. October: It is known as mixture of Venus and Moon. They get success from low level to top level. They get success in acting, artist, writing, technical and water field. You have to take care of your health and prestige. You have to worship lord Shiva. November: It is known as Mercury month. They are naughty, energetic, angry and courageous. They can get progress in administration, army, directing, medicine and education field. You have to take care in injury and accident. You can get more benefit by worshiping any goddess. December: It is known as mixture of Mars and Venus. They are romantic, prestigious, rich and clever. They can get progress in police, army, politics, technical and science. You should avoid ego and unnecessary relationships. You can get more benefits by worshiping lord Hanuman. Extra Remedy: If your Sun is weak in your horoscope then you can plant red color flowers. Your sun will be strengthening.